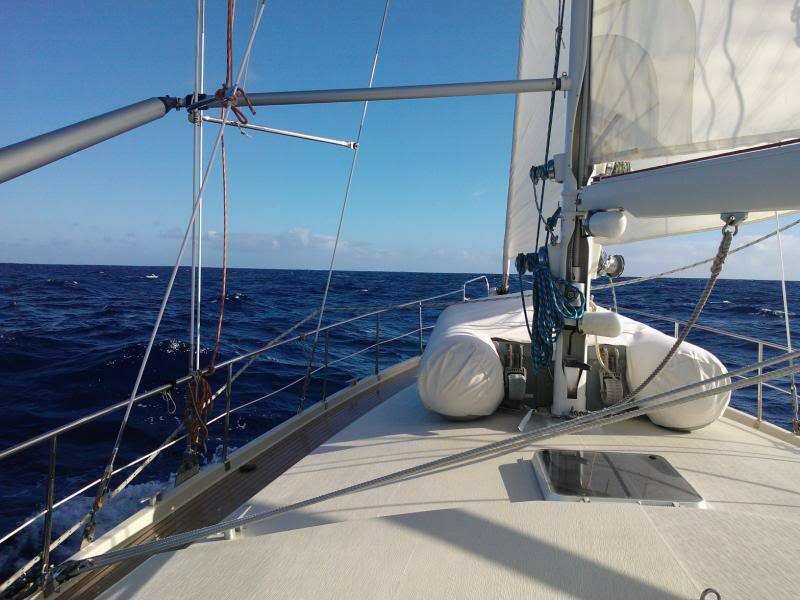 So whats it like crewing on a sailboat for days/weeks/months at a time with people you may never have previously met ? It obviously helps if you have something in common like sailing for instance, always a good start ! Think about it, you will be joining a boat and living with people in close proximatey for a LOT of the time. Its not like you can go home after a bad days work or go down the pub for a few to get away from people. You have to be tolerant of others. Respect each others space. Respect each others privacy when they need it. Work as a team whethers its in sailing the boat, cleaning the boat, doing the cooking, getting to/from the shore in the dingy, provisioning the boat, etc,etc. If you get onboard with a bad attitude of any kind you will SOON be off !! In fact if you get onboard with any sort of attitude you will soon be off. Skippers aren’t always the most tolerant of people and rightly so. You will be joining their boat, their pride and joy, maybe their home, something they may have invested heavily in, their life savings ? sold their house ? blown their retirement lump sum on ? Something they maintain religiously for the safety of all those on board and for other seafarers. Next thing some ‘know-all’ turns up telling the skipper what he should do, or somebody who never listens to instructions, or somebody who wants to sit back and enjoy the views without doing their fare share of anything. Well its not going to work, plain and simple. Put yourself in their shoes – what would you expect of somebody you have invited onboard your boat ? Enthusiasm ? Willing ? Ability to listen ? Take instructions ? Contribute ? Correct. One thing you will get a bit of kudos for is if you have been on a sailing course (if you’re not already a sailor). You do see some adverts requesting crew quoting that ‘no experience required – all training can be given’ but do you really want that on what might be one of your first times out ? How good a training might you get ? They may well be a brilliant sailor, done 200K+miles at sea, but are they a good teacher ? Conversely they may not have done too much sailing but might be brilliant teachers. Do you want to take the risk ? You owe it to yourself to be safe on board. You also owe it to others to be safe on board. You could start with a course at your local sailing school, the beginners/foundation course is commonly called the Competent Crew course. This teaches you the skills you need to be a competent crew member, ropework, adjusting sails, manouvering the boat, understanding of fire precautions, personal safety and emergencey equipment, all but a few of the things you will be taught in the week long course. I would suggest its a minimum starting point, at least you can see if you like it or not ! Some boat owners require more than this, RYA Day Skipper, RYA Coastal skipper, or even the most respected qualification the RYA Yachtmaster before considering you for their boat. Please check your local sailing organisation for advise. Lets not forget that your own local sailing club/school will be an invaluable source of information/help. Hopefully some of the information above has been helpful in deciding if life on a boat (or for any extended period) is for you ! !